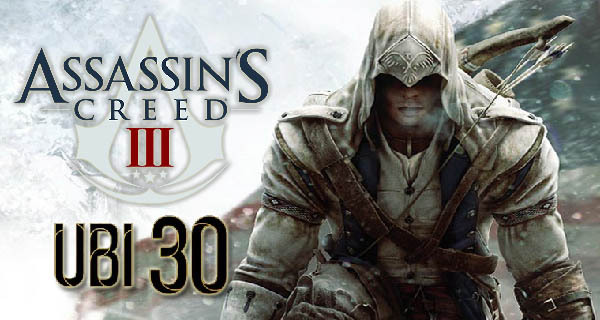 The final game for Ubisoft’s 30th Anniversary celebration is Assassin’s Creed 3. This has been confirmed by a tweet from the Ubisoft Club twitter handle. As said in the tweet, Assassin’s Creed 3 will be available on December 7 on Uplay PC. All of the free games given by Ubisoft are in line with their 30th anniversary celebration. The very first game given out was last June for Prince of Persia: Sands of Time. The month of July was for Splinter Cell and Rayman Origins for August. The Crew giveaway was for September, October was for Beyond Good and Evil and November is for Far Cry 3: Blood Dragon. You can still get the November giveaway before it switches out on December 7th. And the last #Ubi30 free game on PC is… Assassin's Creed III! Assassin’s Creed 3 is the fifth installment in the Assassin’s Creed series. It is an action-adventure video game that was launched on 2012 and received great reviews from critics. Ubisoft has been so gracious in celebrating their 30 years of service. First with the free games for each month and they also have the 30-day advent, that gives away special goodies per day counting down to Christmas. To be a part of the free giveaways all you have to do is to be a part of the Ubisoft Club, after all signing up is absolutely free! Were you able to get all the free anniversary giveaways from Ubisoft? Share your experience with us in the comments below. 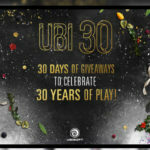 Ubisoft is giving away free goodies everyday up until Christmas day! Très bon jeu je l’ai déjà sur ps3 hâte de le refaire sur pc.